The second of the semi-finals on Saturday will feature the winner of group B, Roger Federer up against the runner-up of group A, Stan Wawrinka. This is a high profile semi-final, but this hasn’t been an encouraging tag at the O2 this year with most of the anticipated matches offering quick and one-sided contests. Wawrinka needed just three games to confirm his place in the semi-finals and he did that within 15 minutes in Friday’s final round robin match against Marin Cilic. Wawrinka lost the second set, but recovered well in the decider, coming from a break down to win six of the last seven games. Federer advanced into the semi-finals with three wins out of three; most notably he annihilated Andy Murray in his final group game, 6-0 6-1 in front of a dejected crowd. The O2 fans have had a rough deal this week; the tickets in the lower bowl for the round robin matches are priced as high as £70 and that figure goes up for the semi-finals. 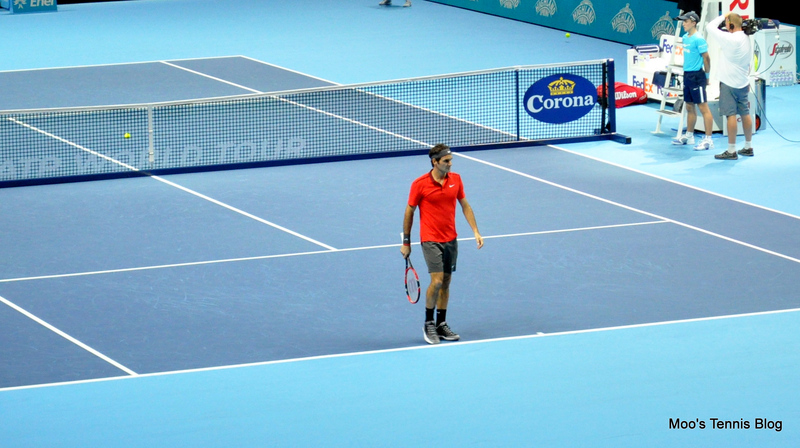 Federer produced a majestic display, teeing off on Murray’s second serve and covering every inch of the court as he dominated the match from start to finish. Murray though, was very disappointing; even after a woeful first set, he showed no signs of changing his tactics. He had nothing to play for in the second set and I would have liked to see him go for his shots more and at least, take a few risks. He looked utterly lost and surprisingly emotionless, as Federer wrapped up the bagel-breadstick victory in just 56 minutes.